Lasers and IPL devices are an integral part of an aesthetic practice. These devices can be either a single wavelength or light source machine, or b e part of a platform device that allows a wide variety of procedures to be successfully performed using a single device. 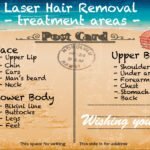 Lasers and IPLs are useful for hair removal, wrinkle reduction, acne treatment, vascular treatments, skin resurfacing, tattoo removal and other beauty treatments. According to the 2013 Plastic Surgery Statistics report, a comprehensive report of procedures performed by these plastic surgeons and other Board-certified specialists, IPL treatments increased 9% to over 600,000 from 2012 to 2013. Hair removal treatments were down 4% from 2012, but still had a volume of over 1 million treatments— allowing the procedure to remain as the #1 laser service performed in aesthetics. Other treatments listed in the report include over half a million laser skin resurfacing treatments and more than 200,000 leg veins treated with lasers. Ae sthetic industry veteran and founder of Quanta Aesthetic Lasers, Michael Sparks, says that other procedures in high demand with huge growth are non-invasive body shaping and tattoo removal. “Tattoo removal with devices like the Quanta Q Plus C are up 43% in the last year alone,” said Sparks. Companies like Quanta Aesthetic Lasers offer many options when deciding which equipment to invest in, and provides a truly consultative sales approach with your practice needs in mind.